Product #735 | SKU 2365-015-110 | 0.0 (no ratings yet) Thanks for your rating! Direct light where you need it. 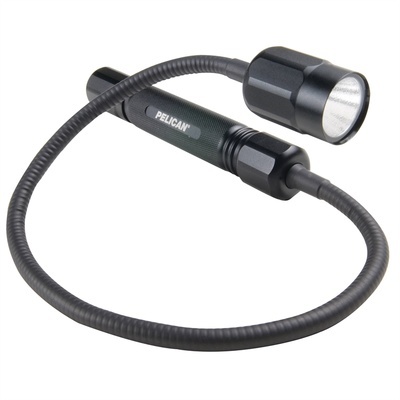 The new Pelican 2365 LED Flex-Neck Flashlight (Black) lets you shine light where it's needed. Whether you are working in the engine bay of your car or under the fuselage of a jet, the 2365 ensures you can work hands free in bright LED light. The new 2365 flex neck light allows you to be flexible at work.